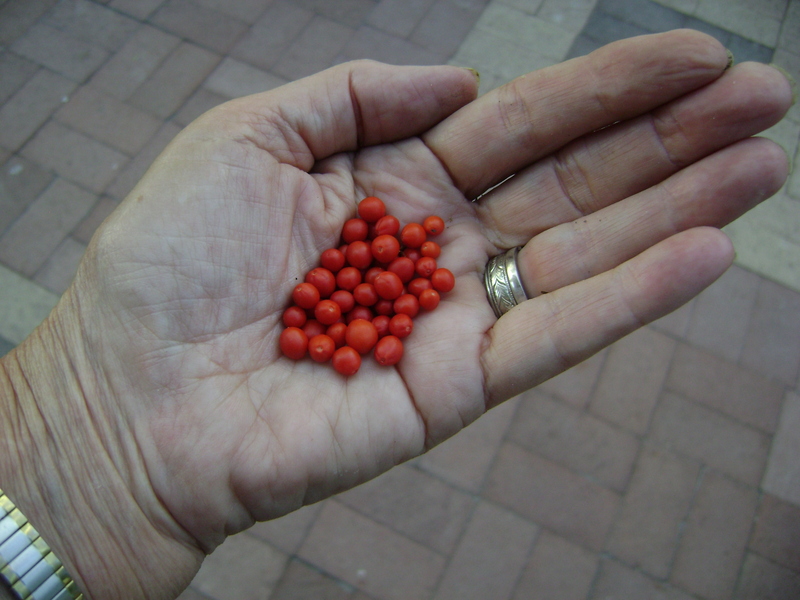 Chiltepins are tiny chiles, about half the size of a pea. 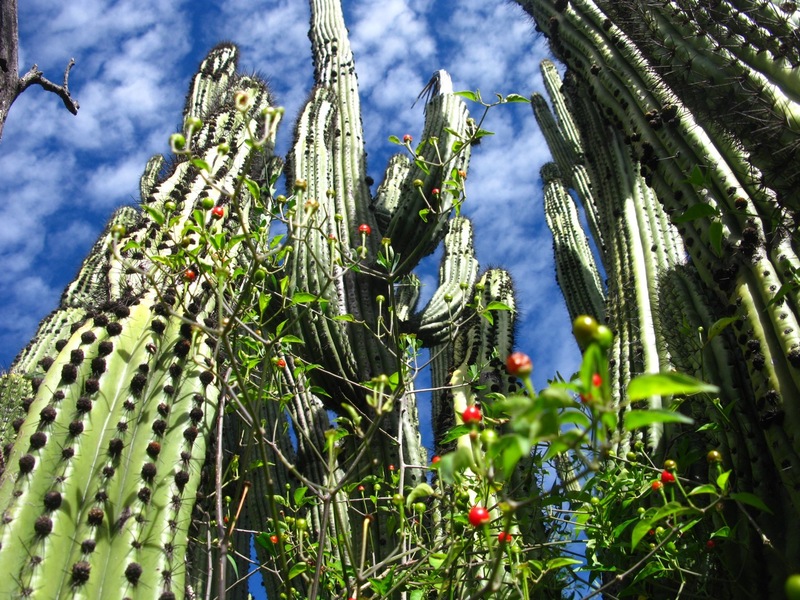 Believed to have originated in Mexico, they have been used to spice foods for at least 8,000 years. Chiltepins are sometimes called “the mother of all chiles” because they are the closest living relatives of the early domesticated chiles. They like to grow under trees or bushes — the shade provides protection from the summer sun and winter frost. Slow Food USA has listed chiltepins in the Ark of Taste, a catalog of delicious foods in danger of extinction. Most people consider chiltepins very very hot. The spiciness of chiles is determined by their rating on the Scoville Scale. The long green Anaheim chiles that come in a can are rated from 500 to 2,500 Scoville units. Chiltepins clock in at 70,000 units. The trick to using chiltepins in cooking is to use just a little to add zip to anything that seems little bland. When preparing them, use gloves and grind them in a little mortar and pestle. The finer you grind them, the more widely the heat will be disbursed int he food. To cut down on the heat, pick out the seeds. If you have some good ideas for using chiltepins, please share by adding a comment below. I agree! The photos are beautiful. I’m also very interested in working with chiltepins more. Neat little pepper : ) It’s also scary that they would become extinct. I guess we all need to start growing them. Thanks for the post….look forward to reading more! Great photos. Makes you want to get out and do an October harvest!